A Silent Voice Volumes 1-7 are available now from Kodansha Comics in a beautiful complete collector’s-edition box set for old and new fans alike! 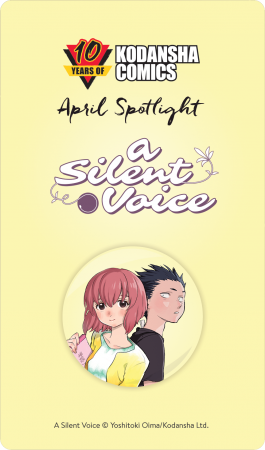 Surprise 1: Exclusive A Silent Voice pin! 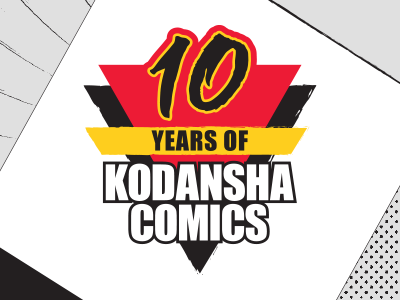 As a part of the 10 Years of Kodansha Comics project, we’ve teamed up with our friends at Rightstuf to bring you these awesome exclusive A Silent Voice pins! 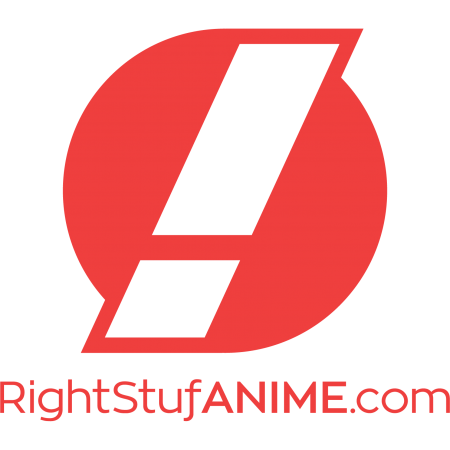 Visit Rightstuf and order any volume of A Silent Voice or the A Silent Voice Complete Series Box Set and you’ll receive an exclusive A Silent Voice pin for FREE! Available this month (April 2019) only or while supplies last. 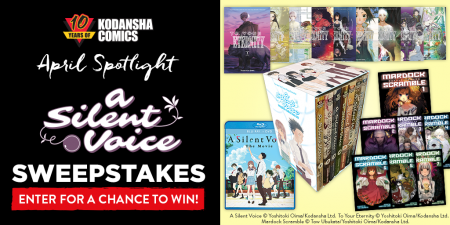 Surprise 2: A Silent Voice Survey Sweepstakes! Here’s your chance to do all of the following: (a) check out the original A Silent Voice manga, (b) complete your collection with the brand new A Silent Voice Complete Series Box Set, and (c) check out more manga from creator Yoshitoki Oima! For the month of April only, ONE lucky winner will win a copy of the A Silent Voice Complete Series Box Set, one copy of the A Silent Voice Bluray/DVD from our friends at Eleven Arts / Shout Factory,!, AND a complete collection of Yoshitoki Oima’s previous manga series: Mardock Scramble and Volumes 1-9 of To Your Eternity! All you have to do is take this survey by April 30 to enter for a chance to win. Kodansha Comics is also proud to present a special interview with Yoshitoki Oima! First appearing in the A Silent Voice Fanbook (Japan only), this interview with A Silent Voice creator Yoshitoki Oima has never before been translated into English … until now! Yoshitoki Oima won the 80th Weekly Shonen Magazine Rookie Manga Prize, and debuted in 2009 with Mardock Scramble. 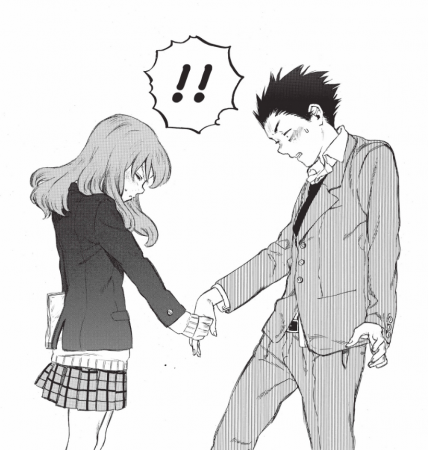 Following A Silent Voice, her new series, To Your Eternity, began serializing inWeekly Shonen Magazine at the end of 2016. Q. 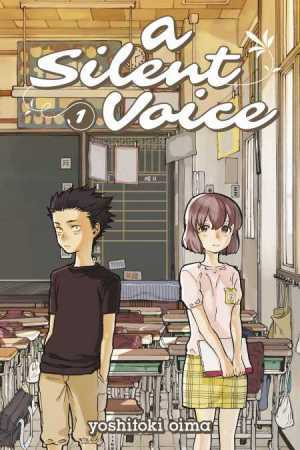 A Silent Voice deals with a lot of very serious themes, including bullying and hearing impairment. The series comes across as a very brave act. Do you feel that way? Yoshitoki Oima (YO): I’m a little uncomfortable reducing the work to simplistic statements like “It’s about bullying.” Personally, I never saw the series as being “about” bullying or hearing impairment; instead, I was attempting to illustrate, literally, how difficult it can be for people to communicate their feelings to each other. So while the title may be A Silent Voice, I very much intended to depict communication as a whole. Shoko can’t hear, that’s true, but that’s really just one of the things that makes her who she is; and in the same way, the bullying in this series is one result of a particular kind of communication. Q. Is there something specific that motivated you to take on communication, and the difficulty of communicating feelings, as your theme? YO: A Silent Voice actually draws a lot from my own experience: the regret over my failure to take notice of and listen to the voice of one girl in particular; it deeply influenced Shoya’s commitment to “really see, really listen.” It’s not that my friend couldn’t hear, but in this story, Shoko’s inability to hear is partially a nudge to help readers key in to the main theme. It wasn’t intended to be the core of the series, per se. Q. It’s true that Shoya never once uses the word “bullying” to describe his own actions. YO: Shoya is all too aware how it would sound if he described his past behavior toward Shoko as “bullying,” so he strongly resists using that word and labeling it that way. In contrast, the people around him, including Miki, Naoka, and Mr. Takeuchi, are perfectly happy calling it “bullying”. That compartmentalizes the bullying, and sort of lets them feel that they weren’t involved. That’s a relief for them, and they find “bullying” a very convenient term as they create their own narratives of themselves. Q. Miki and Naoka sometimes use the word “karma” to describe the events of the series. Is this something else they say simply because it’s convenient for them, like “bullying”? YO: “Karma” is a word the characters use as an easy dodge. They’re trying to live their own lives, and “karma” is a box they can compartmentalize things in to help make sense of them. For me personally, “karma” is not a significant factor in the series. It’s possible one reason people focus so much on the word “karma” is that it gives readers a certain sense of relief, too. Words like “karma,” or phrases like “crime and punishment” and “good is rewarded; evil is punished,” are frameworks that lend themselves very well to stories. Some readers might expect characters who do something wrong to be punished, but I wasn’t specifically thinking about that during the writing. Q. Do you mean they’re each right in their own way – or at least have their own feelings about all this? Of course, it’s up to each individual to think about what’s good and bad, and that is what Shoko’s mother found troubling. Q. The communication notebook plays a crucial role in the meeting, conflict, and finally reunion between Shoya and Shoko. YO: With her grandmother, Shoko practiced speaking aloud; she was making an effort to use her voice to talk. But when she stopped speaking, that notebook became her one line of communication with hearing people. Q. Why does Shoko stop talking? YO: It has a lot to do with her mother and Yuzuru. It made Shoko unbearably sad to see Yuzuru getting bullied because Shoko couldn’t speak like everyone else; that’s the first reason. The second reason was that her mother wanted Shoko to be able to speak well, but when things don’t go as smoothly as planned, her mother becomes frustrated—Shoko picks up on that. So she slowly stops using her voice. 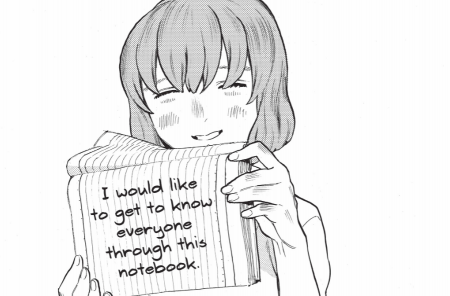 The message Shoko displays in the notebook when she transfers to Suimon Elementary School—“I would like to get to know everyone through this notebook”—really says it all. For her, the communication notebook isn’t just the one tool that allows her to communicate; it’s a symbol of Shoko’s hope that she can be friends with her classmates. Q. But some pretty cruel things end up written in that notebook. YO: Shoko starts out being able to converse normally with everyone through the notebook, but gradually all the notes turn to complaints, and then to outright meanness. Shoko sees all this as her own fault, so—as a means of self-defense and to smooth things over with everyone else—she hides how she really feels and just starts to apologize all the time. It culminates in Shoya throwing the notebook into the pond, and even though she immediately rushes to fish it out again, Shoko herself decides to throw the notebook away immediately afterward. It was her only haven, and now she’s abandoning it: she’s given up on communicating. This encounter with Shoya is the last straw; Shoko can no longer hold back all the feelings she’s been keeping inside, and confesses to Yuzuru that she wants to die. The notebook was just that important to her. How can everyone write such awful things in this precious notebook of hers? It’s because nobody can see how important it is—not even her mother. That’s why her mother can throw it off the bridge like she does. I gave that chapter the title “I Gave Up Once Before” because it answers the question “What did Shoko give up in elementary school?” When, in high school, Shoya suddenly shows up with the notebook Shoko thought she’d abandoned, to her it’s much more than just an old notebook. It’s as if Shoya has brought back with him the whole hope of being friends with everyone that Shoko had thrown away in elementary school—friends she was going to make with that notebook. When Shoya asks, “Is that notebook really that important?”, Shoko responds, “It matters because you brought it back to me.” She clasps it to her chest with one hand over the other, letting him know how precious it is. Q. Shoya pulled the communication notebook out of the pond and kept it all that time. Does that show that, on some level, he had a sense of how much it meant to Shoko? YO: Having experienced bullying himself, Shoya can look at the notebook and realize what awful things everyone wrote there. But at the same time, he sees how Shoko never wrote anything but “I’m sorry, I’m sorry.” He starts to ask himself, why would she throw away something that mattered so much to her? And he starts to wonder: was there more she wanted to say? That’s why he held onto it for so long. Q. So when Shoya hits Shoko, that’s because he thinks she ought to be more open about herself, right? YO: The way Shoko only ever wrote “I’m sorry” in the notebook gnaws at Shoya. He wanted to bring out—maybe you could call it—Shoko’s true self. He wanted to know how she really felt. Wanna read more interview like this? Then check out Kodansha Comics’ exclusive interview with Yoshitoki Oima from 2016! 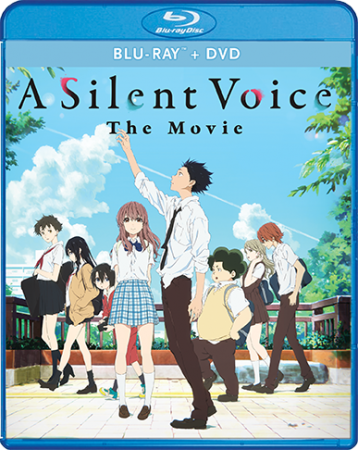 Don’t miss A Silent Voice out now on bluray/DVD, available now from Shout Factory!